From time to time I like to write about the beer staples. World class beers that are not over the top. When you visit the countries that taught us how to brew and ask for "ein Bier bitte," or "I'll have a pint," you are sure to end up with a local session beer. Depending upon where you are this could be a Helles, Bitter, Kölsch, Alt, or possibly a Pils. (you get the picture) These offerings are refreshing and drinkable, and yes, many of them are also widely recognized as world class beers! In this blog, I'll cover one of my favorite English staples from Fuller's Brewery. When traveling in Europe I tend to prefer smaller towns to large metropolises. One exception to this tendency is London. I love London. And one of my favorite local breweries is Fuller's. Fuller's Brewery is headquartered in the west London suburb of Chiswick and has been around for over 150 years. Arguably their most famous beer is Fuller's ESB - Extra Special Bitter. In the US it is now common to see ESB's on tap and sold in stores. But this is a relatively new style. In fact the style did not exist until 1971 when Fuller's first put this name on a beer. Up until that time in England there were Bitters and Special Bitters. Extra Special did not exist. Fuller's is the ESB. Fuller's Brewery has won numerous awards over the yeas, and their ESB has been especially successful. This beer has taken CAMRA's Best Strong Ale award a record seven times! Now a bit about the fine Ale. This beer pours a rich red copper color with a light cream head. It is beautifully clear and appetizing. ESB's aroma is a pleasant blend of earthy/grassy English hops and toasty Pale Ale malt. The Northdown, Challenger, and Goldings hops used are quintessentially British and have the typical spicy, earthy character of the hops grown over there. This is decidedly different from the citrus and pine characteristics found in most US hops that end up in the Bitters and Pale Ales on this side of the Atlantic. The body is light and refreshing as to be expected. 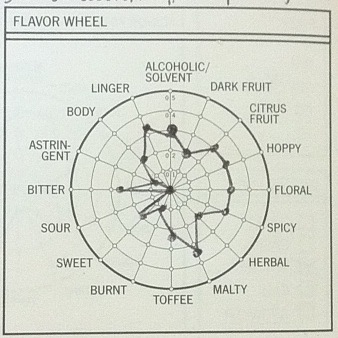 Its flavor is a well-balanced combination of malt and a sturdy, but never overwhelming bitterness. There is a slight caramel malt sweetness and a touch of toffee to counter balance the bittering hops. A wonderful fruity yeast character is present throughout. 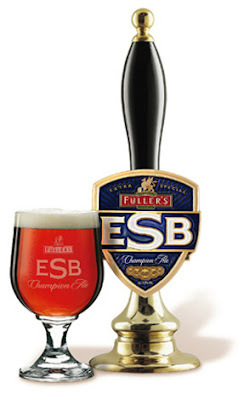 Fuller's ESB has a well rounded, long and smooth finish with more fresh late-addition hops (Goldings? ), clean malt, and the typical English mineral-character. There is just a slight touch of diacetyl left over from fermentation. As the beer warms, the "butterscotch" will become more noticeable. This adds yet another dimension of complexity to this fine ale. Another great beer by Fuller's is their London Pride, which is a touch lighter yet. It weighs in at 4.7% abv. London Pride is very typical of the Special Bitter style. I also love the other major brewery in London - Young's. Their beers are getting more difficult to find in Colorado, but their Bitter and Special London Ale are classics. Young's yeast happens to be one of my favorite - being very lively and fruity. I hope you enjoyed the review. 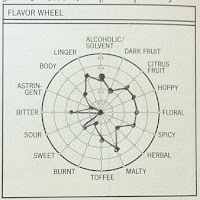 And the next time you are at the liquor store, don't forget about those wonderful "session" beers out there. Many of which, by the way, happen to be world class - just like Fuller's ESB!